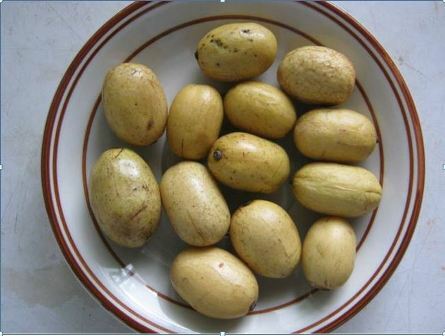 Amugis is a very little known fruit from the Philippines. It also grows in Borneo, Celebes, Moluccas and western New Guinea. The trees are seen growing mostly in undisturbed forests. Though these can grow up to and altitude of 800 m, but most trees are seen below 500 m.
Though amugis bears edible fruits, yet this tree is known more for its timber. 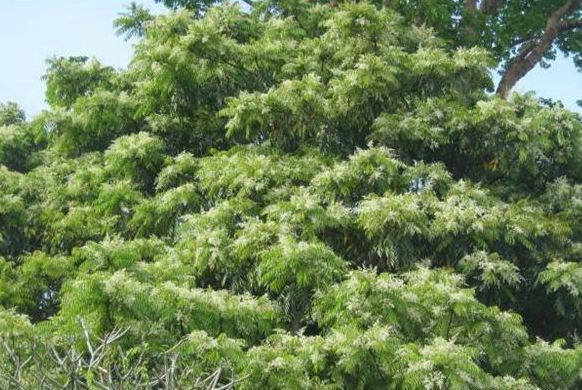 A large evergreen tree, upto 20 m tall. Leaves arranged spirally, crowded at the end of twigs, imparipinnate, 50-80 cm long, with 110-16 pairs of leaflets; leaflets 3-20 cmx1.5×2.5 cm, entire, acuminate, glossy green from above and pale green from below. 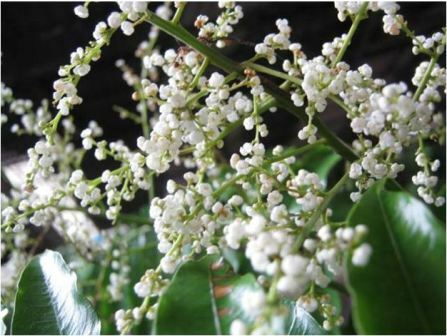 Flowers borne on 50 cm long axillary panicles, white. Fruit a drupe, yellow, egg shaped, 2.5-4.0 cm long, obtuse at both ends, edible, sweet, quality varying with trees, selection of superior clones possible. The fruits are edible. These taste sweet and are eaten by local people. The fruits, however, do not match mango which is its close relative, in taste. 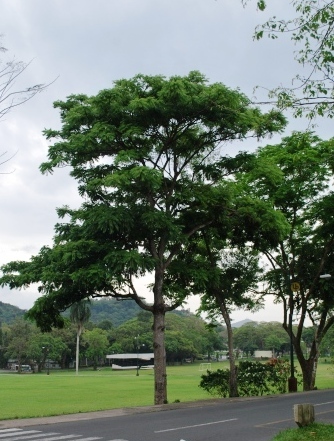 The tree is amore used as timber which is rather heavy, but only moderately durable. It is used for flooring, house construction, and furniture. The gum from an amugis tree is used in local medicine. Amugis is not cultivated for its fruits. The trees are however planted in agro forestry for its timber. New plants are raised from seed. Asexual propagation is possible by cleft grafting. The wild trees are all natural seedlings. So there is a lot of variation in fruit quality. This provides an opportunity for the selection of superior clones.